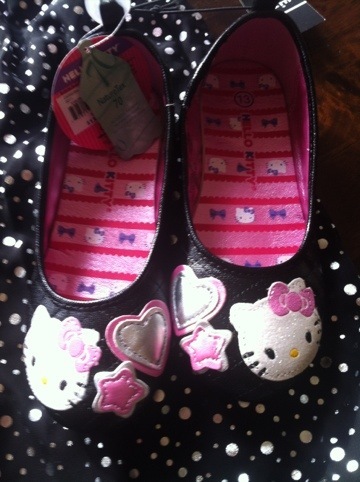 Aren’t these HELLO KITTY shoes simply adorable for little girls? 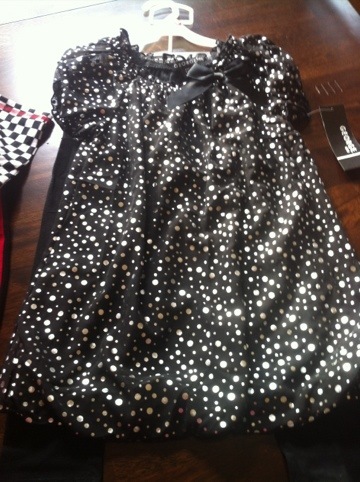 Kenzie loves them and they were only $10! They perfectly match the cute outfit we found for Kenzie from George – a set for $12 that included a sparkly fun top paired with black leggings. Take a peek at our full fashion haul of kids clothing that we found at Walmart for Back to School. There were much more options for the kids sized 5T or less all the way through to babies then I found for kids over 5T so there are more items for Kyle as Kenzie wears a 6 or 6X. My specific Walmart didn’t have what I would could a “Tweens” section – overall, most items were either under 5T or moving into an Adult section. 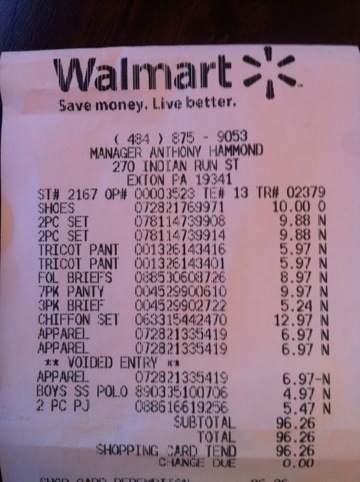 Here’s my receipt – we got all these items for only $96. We’re talking a TON of stuff as you can see in the video- new underwear for both kids, PJ’s, outfits for Kyle, collared shirts, sweat pants and so much more! Disclosure: This is a sponsored post from Walmart and we used a $100 gift card to purchase these items to facilitate our shopping haul. As always, all thoughts and opinions are my own.